Robotech Maker: Line follower robot - The easiest! 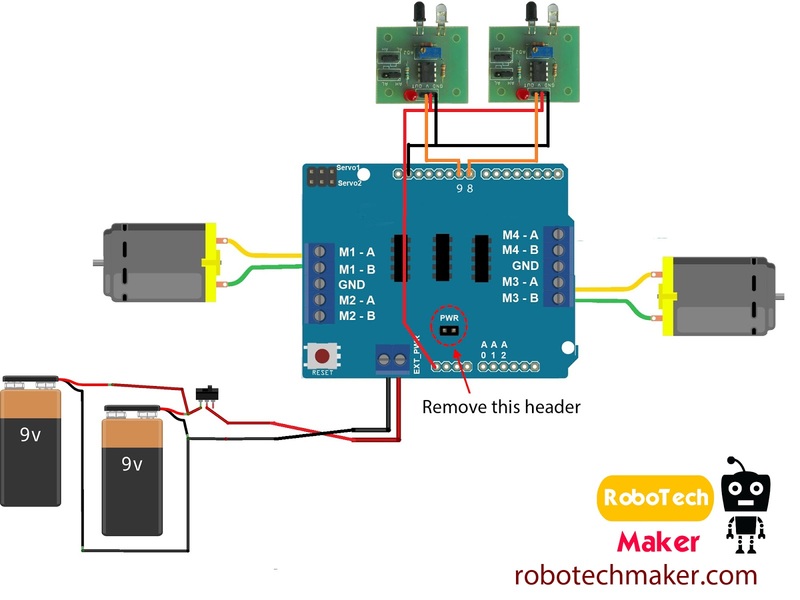 "A perfectly working line follower robot using arduino"
This is a simple tutorial to make a line follower robot using arduino. In this tutorial I am using the same robot platform of my previous tutorial ​"Make you first arduino robot". You can follow that tutorial to make the platform of this robot. Here download all the files - Arduino codes + circuit diagram. Parts for making the chassis. If you are a beginner visit my previous tutorial for complete information and follow the steps 1 to 4. After making the chassis. Connect the IR sensors as shown in the image. The position of IR LEDs and receivers are 0.5 cm from ground. Connect two header mail pins to pins 8 and 9 of motor shield. Take out the wires through the hole. Connect the wires to the sensors. Install the 'AFmotor' library before compiling the program (Copy paste the AFmotor folder to to arduino libraries folder) Click here to download it. Great! but could advice me the code, if we put that 2 sensor at analog sensor I/O ? Yes then also it will work. You only need to change the pin 8 and 9 to the analog pins you want. replay this comment to know your robot is working or not. 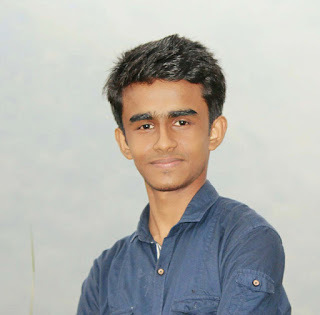 also subscribe me on you-tube and like my FB page to stay updated. My new project tutorial videos and robots are coming soon in this summer holidays! MY MOTORS ARE NOT ROTATING Y? Hey, before uploading my code pls check your motors and motor controller. 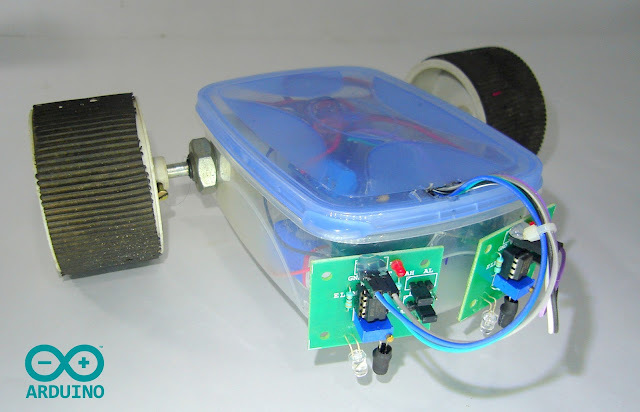 Pls make an video or a project on line follower with obstacle avoiding using motor shield and arduino.